Leah booked shows at the Bottletree in Birmingham and she sent us a message on myspace (this is back in 2007) urging us to come down and play there. We’d been a band for six years at that point and I’m not sure we’d even played in Philly yet, but we took some money from our modest “band fund,” rented a 16-passenger Ford Econoline Van, and went down to open for Blue Mountain at the Bottletree. The western edge of that little tour was a show in Shreveport, La. at this crummy little dive bar (we’ve never had a booking agent) beneath a highway underpass. But the place was oddly packed and when we started playing there was this crew of bikers and heavily tattooed misfits who started singing along and dancing, ecstatic. Turned out one of their buddies did seasonal work selling Christmas trees in our hometown (Metuchen, NJ), worked with someone from our group of friends and he went home to Longview, Texas, burned a bunch of CDs, and spread the news. And there they were -- they had traveled the hour to Shreveport en masse for the show. Every tour after that we’d make sure we played a show in Longview. That nugget of warmth and reception was just enough to inspire us to persevere and continue making music for the last 10 years or so. Along the way, we found other pockets throughout the country of oddly placed stages with small groups of dedicated and passionate fans. To be clear, we don’t hold such high opinions of ourselves that we think the whole world wants to hear our outtakes and demos. But... there’s a chance that there might be a few people in those wonderful pockets still thriving in Longview, TX., Moscow, ID, Maquokueta, IA, Reno, NV or Metuchen, NJ who do and maybe some places and people who have yet to listen. 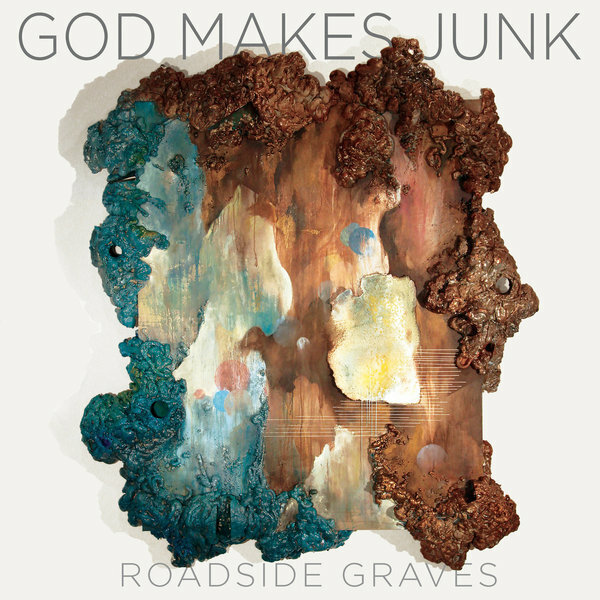 “God Makes Junk: 2001-2016” is a hodgepodge collection and working history comprised of almost 40 tracks including unreleased live recordings, radio sessions, remixes, demo and alternate versions, and some random nonsense recordings we taped during the first period of our life as a band. We have found a sympathetic home at Don Giovanni records and this digital collection will be released late in the summer of 2018. 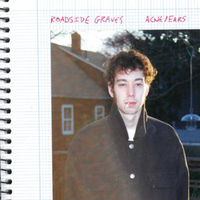 Roadside Graves currently live in New Jersey, Providence, RI, and Seville, Spain, and -- in spite of these geographical challenges -- are working on a new record.